This statistic shows the annual growth in the spending of international tourists ('visitor exports') in Spain from 2012 to 2017. 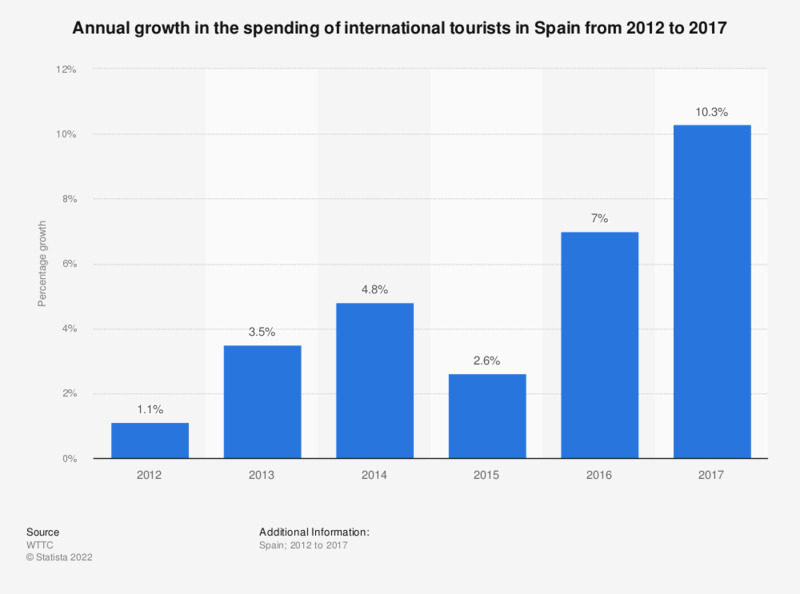 Inbound tourism expenditure in Spain increased by over 10 percent in 2017.
International tourism spend refers to visitor exports. The source defines visitor exports as follows: "Spending within the country by international tourists for both business and leisure trips, including spending on transport, but excluding international spending on education."